Quinns: Welcome to the NEWS! Never mind the jokes and reviews. The NEWS is what you come to this site for for, isn’t it? A great sluice-tube of consumer information, poking through your window and filling your life with piping hot knowledge. Praise be to NEWS. 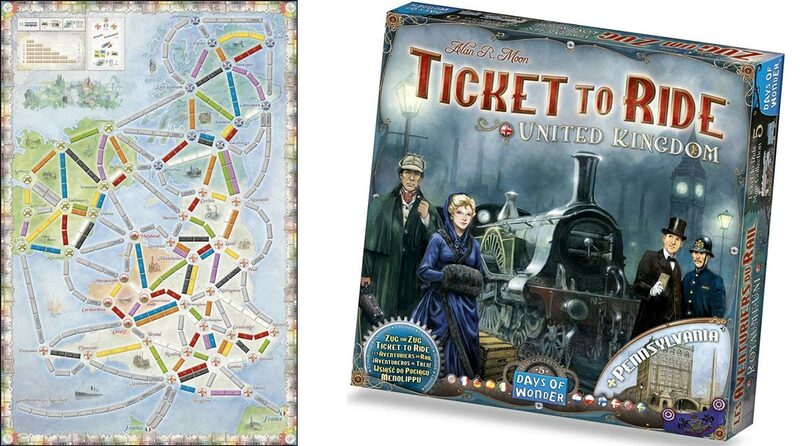 Today’s first NEWS is that the latest map pack for Ticket to Ride is now available for pre-order, and will add new United Kingdom and Pennsylvania boards to the train-placement smash hit. As always with Ticket to Ride map packs, the new boards each boast new rules. The UK will feature technology upgrades, while Pennsylvania gets stocks and shares. Sales of Ticket to Ride overtook sales of Settlers of Catan in 2013, making it the best-selling board game in the world that isn’t also rubbish. 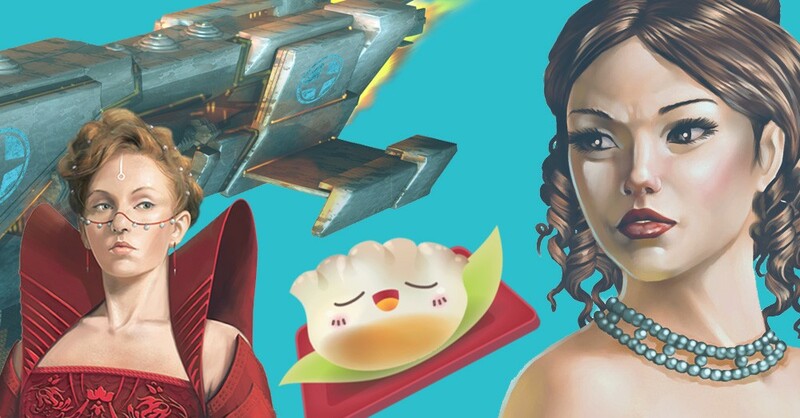 Gloss-house Fantasy Flight has published two in-depth previews of the next wave of Armada ships, the dinky Imperial Raider and the freakishly dangerous Rebel MC30c Frigate. These join earlier previews of the larger Imperial-class Star Destroyer and Home-One class vessel. 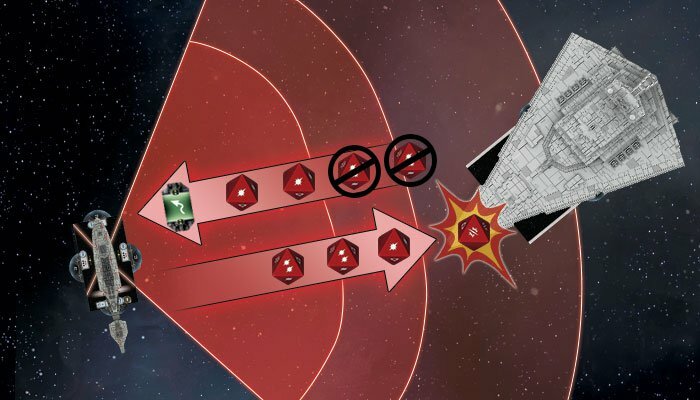 All four previews showcase the powers of the ships using diagrams and “math”. The beleaguered U.S. Military recently asked Fantasy Flight’s designers for help with their own naval battles, and rumours abound that gigantic plastic aircraft carriers are currently being manufactured in Puerto Rico. This periodical must issue a retraction of the photos we published last week showing the U.S. Navy’s gigantic new dice, which we stated would probably be dropped into battles by helicopter. It’s since come to light that the photos were of normal dice taken from very close up. 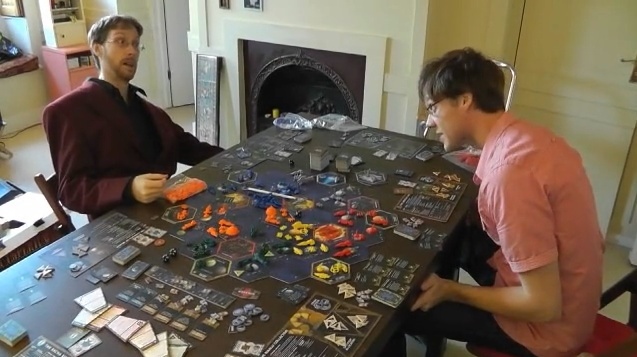 Dutch publisher 999 Games this week announced Mega Civilization, a board game of implausible dimensions that sits 5 to 18 players, boasts a two metre long board and will almost certainly take multiple days to finish. While looking like a wargame, Mega Civilization will encourage players to balance cultural, economic, scientific, political, civic, and religious factors. In fact, the publisher description doesn’t mention war at all, creating a very real risk that bored players, left with no other option, will begin trying to eat increasingly large components. Rumours abound that the UK edition of Mega Civilization will ship with eighteen sheets of stickers to turn the logo into “Civilisations” on all 3000 components. 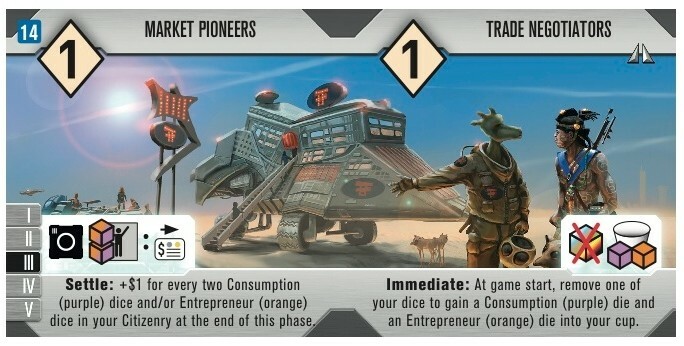 We were very impressed by Roll for the Galaxy in our review, and Board Game Geek News has published a designer diary of the first expansion they’re rolling out, Roll for the Galaxy: Ambition. The box will include new dice, as well as new factions, start worlds, tiles, objectives and more of that wonderful 1980s pulp sci-fi novella artwork. 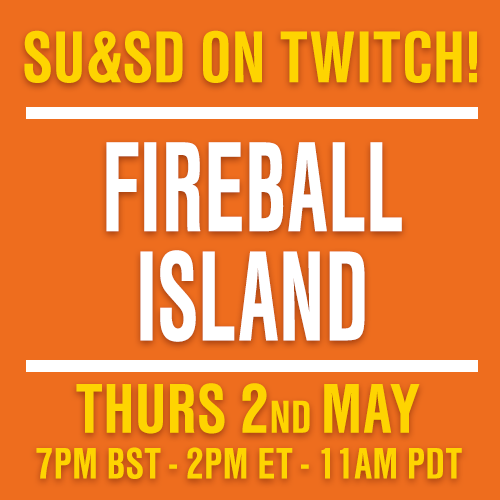 But most of all it’ll include new dice. 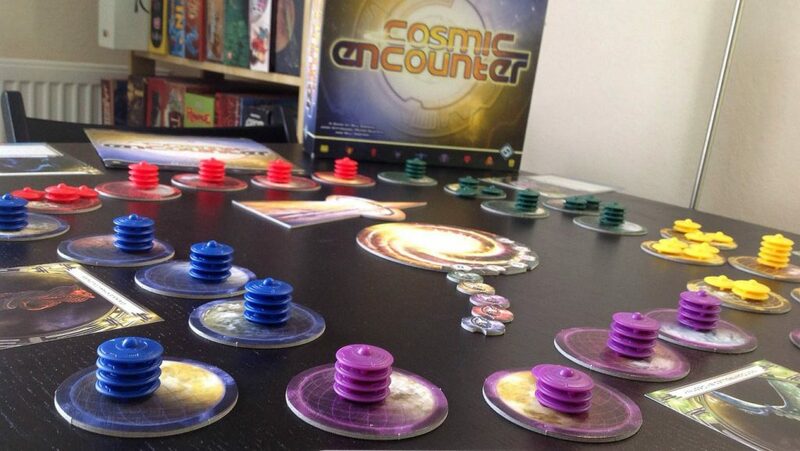 Game design luminaries Bruno Faidutti and Serge Laget have a new game on Kickstarter. 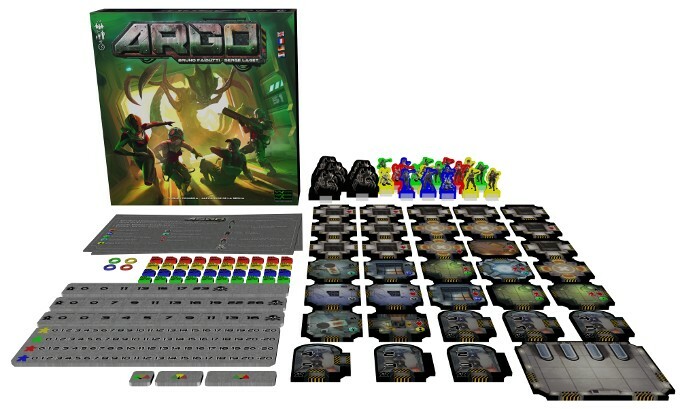 Argo sees each player in control of a team of astronauts, trying to guide at least some of them to escape pods as a pack of aliens hunt them down. But if players are too competitive in using the aliens to devour one another, there’s a chance the “aliens” will win instead of any player. Argo was originally meant to come out in 2005, which is not a joke. Fantasy Flight acquired the publishing rights only to realise their release schedule was too cramped, and indefinitely postponed the game before rights ultimately reverted back to the designers many years later. In Bruno’s words, “their eyes were bigger than their stomach”. Continuing this analogy, that makes Argo’s arrival on Kickstarter akin to a baby bird eating something that was noisily regurgitated by its mother. Which would at least explain why it looks the way it does. 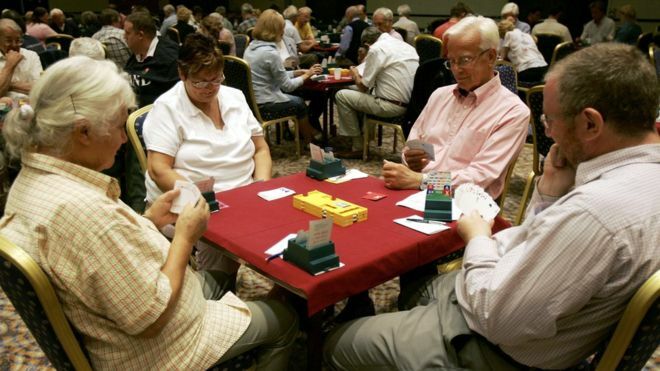 Our final story today: Here in the UK a judicial review has begun examining funding body Sports England’s decision that the game of Bridge is not a sport, and therefore cannot receive funding. On the game of Bridge’s side is the International Olympic Committee’s definition of chess and bridge as “mind sports”, and the fact that the organisers of the 2020 Olympic Games in Tokyo have encouraged Chess and Bridge to apply for inclusion. On Sports England’s side is the fact that Bridge is not a sport. This periodical would, however, would like to state that the term “Mind Sport” is totally awesome, and that we would definitely watch Mind Football in the 2020 games.